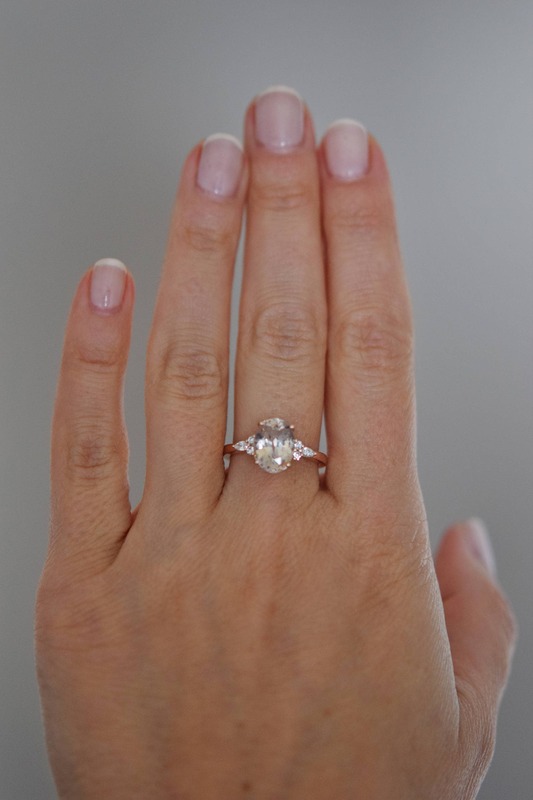 Oval engagement ring by Eidelprecious. This is out new Campari design! 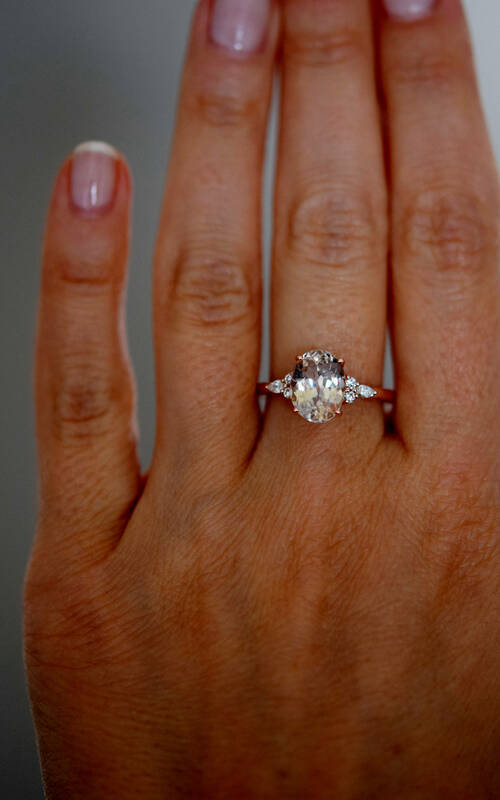 This ring features an amazing oval champagne sapphire with a tint of peach. It is clean and sparkling. 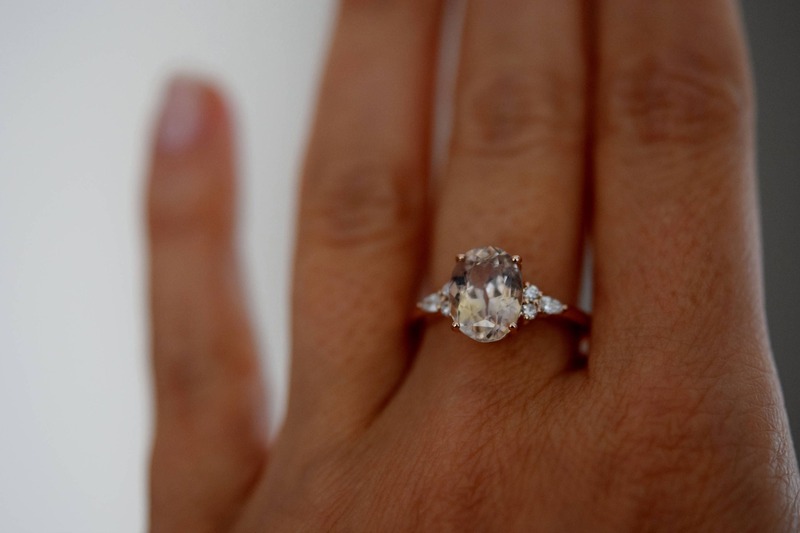 The sapphire is unheated and untreated, approx. 3ct, SI. 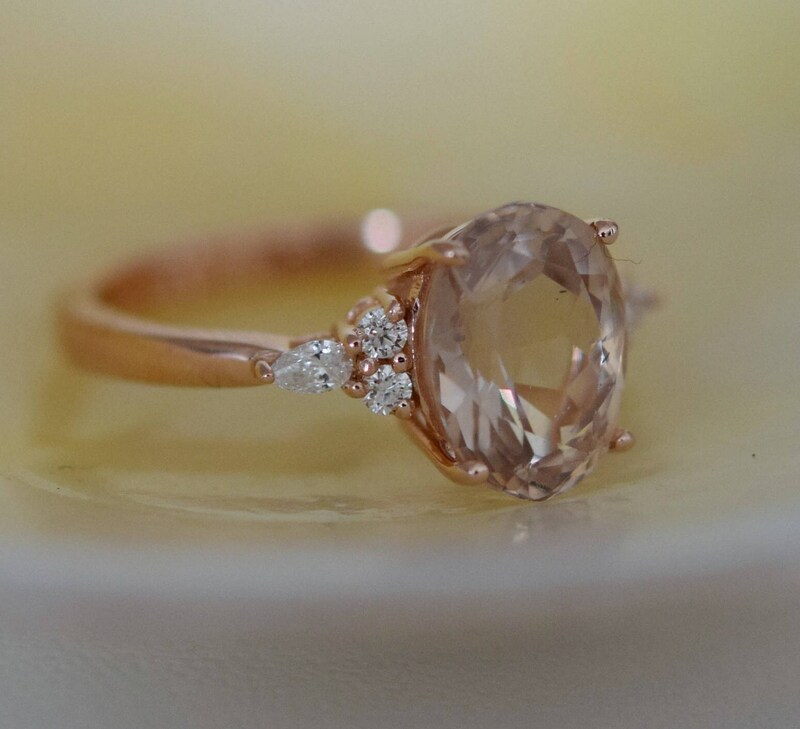 It is set in 14k rose gold Campari Design setting, TDW approx. 0.25ct.